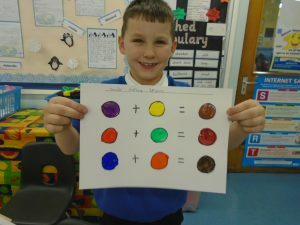 We couldn’t decide if we were doing art, a science investigation or a maths calculation when we did colour mixing. 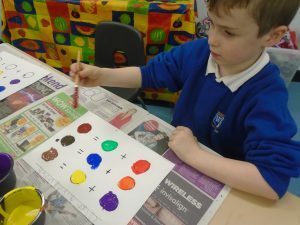 We wanted to mix our own paint to make the colour brown so that we could use it to print stone colours on our 3-D castles we are going to make in history. 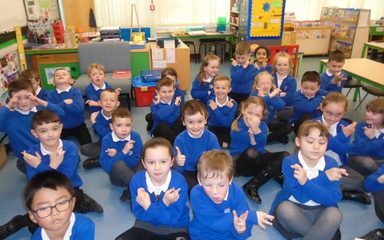 It was a VERY cross-curricular lesson. 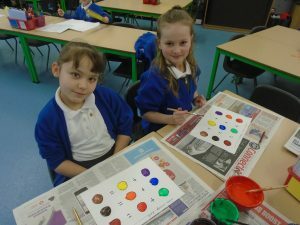 We were amazed when we mixed different colour combinations that we ended up with varying shades of brown. Watch this space to see our finished castles!